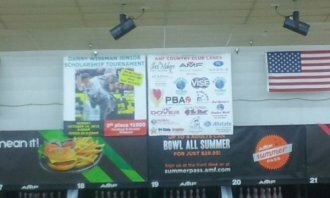 Last year's (2012) Sponsor banner inside of AMF Country Club Lanes ! Many thanks to last years sponsors of the 1st Danny Wiseman Junior Scholarship event! !! 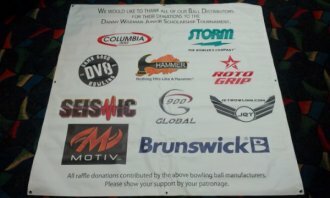 Bowling Ball company banner from 2012's Tournament. Thanks to all those that donated product to help with the youth scholarship event!